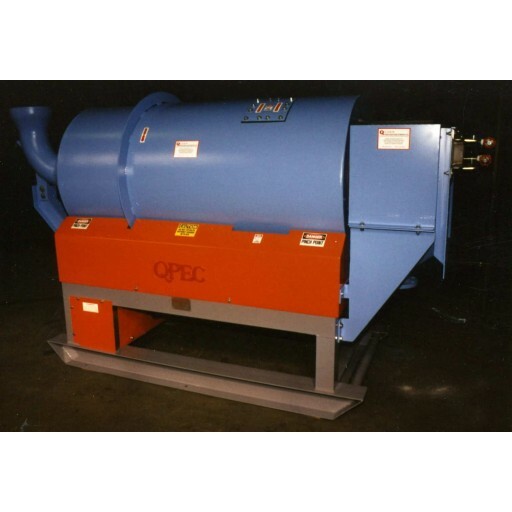 Quinn offer continuous Drum Conditioners for pilot plant or small commercial size operations. The units are utilized in mineral, chemical, industrial, and environmental processes. They basically are designed to gently mix solids with reagents or liquids in preparation for subsequent process activity. Normally, they are selected to handle solids which are (1) too coarse for economic suspension by propeller agitators, (2) deslimed solids which are difficult to suspend in conventional propeller agitators, (3) break down under propeller action, (4) where it is desirable to gently "lay on reagent coatings on the surface of solid particles, (5) homogeneously mix two or more slurries which are difficult to mix due to gravity or size differentials, (6) slurrying or quenching dry or heated solids, and (7) leaching solids with acid liquors. Beneficiation of coarse phosphate ore matrix to coat surface with oil for concentration by table agglomeration. Reagent conditioning of relatively coarse deslimed phosphate ore with fatty acid and fuel oil ahead of flotation. Reagent conditioning of coarse potash ore with amine and fuel oil ahead of flotation. 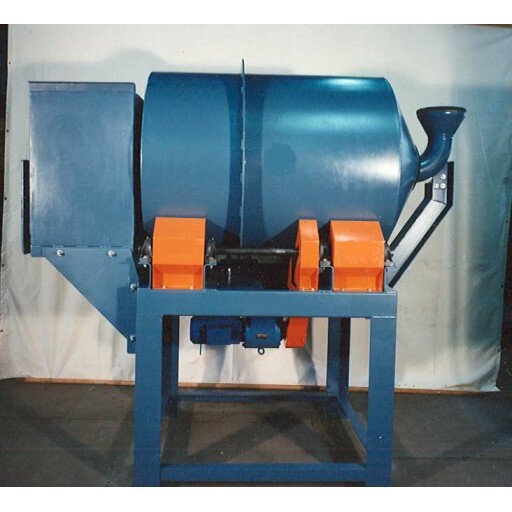 Quenching or slurrying roaster, dryer, or kiln product discharges. Leaching uranium ores, tungsten concentrates, gold (with cyanide), silica (to remove iron), and various other minerals. Furnished as a package complete with motor drive, feed assembly, product discharge chute, all mounted on a structural steel frame ready for operation. Drum section is provided with lifter bars to lift and mix the solids with liquid. A drain outlet is included. The units are of heavy construction to handle typical mining type applications. Drum Fabricated of heavy mild steel plate with angle type lifters. A center guide ring is provided for contact with thrust idlers. Feed assembly Heavy cast steel tapered feed pipe assembly with support stand. 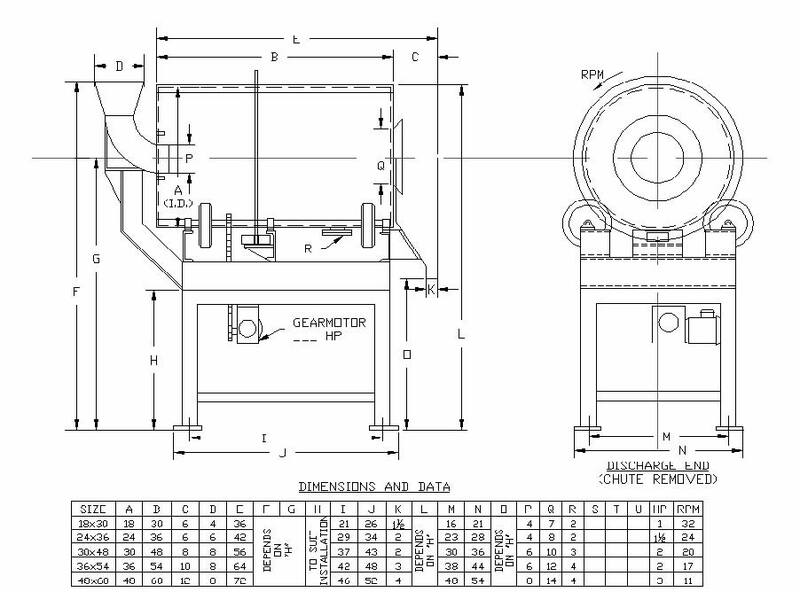 Discharge chute Provided to collect discharge product. Drum rollers Drum rotates on pneumatic rubber tires. Gust rollers Heavy set of urethane or hard rubber thrust rollers maintain alignment of rotating drum. Support bearings The drum roller shafts are supported on six self-aligning pillow block bearings. Motor Is totally enclosed fan-cooled 3, 60, 230/460 Volt and of the "C" face flanged type for bolting to the reducer. Drive Roller chain type including chain guard. Paint assembly Unit is rustoleum primed, green enamel finished, and shipped completely assembled. NOTE: Units available with wetted parts, rubber or elastomer lined, or of stainless steel or other alloys. Also, units can be furnished with modifications to suit customer's requirements.